We have two rooms on the main floor left to paint and make our own. These are both bigger rooms that probably need the most amount of work and will also require structural changes. One is the living room, where we have a rock wall that needs to be changed, a railing that needs to be changed and a lot of painting and other touches. The other room is the kitchen where we need all new cabinets and counters. This past weekend we stopped into a furniture store not far from home and found some great pieces that we thought would work well for that room. 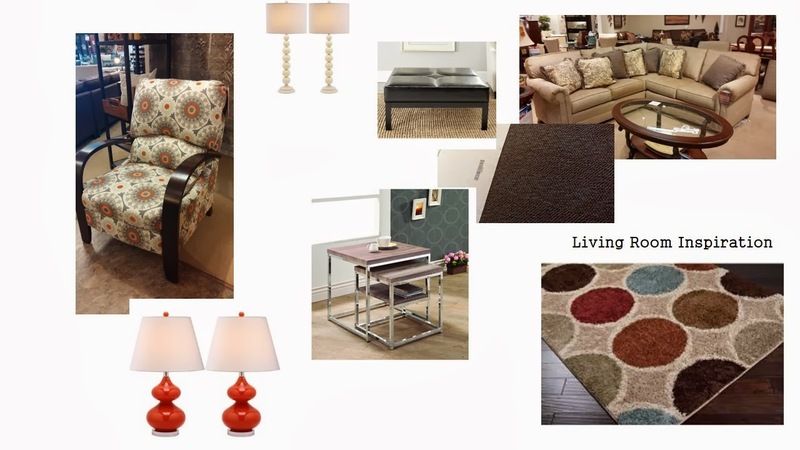 We had picked our paint colors out the week before, so we are well on our way, but I thought I would put together an inspiration board to see how it will look when it all comes together.